The simple answer is yes! As we have learned, millennials have a much different view of the workplace than their older co-workers. Since their lives are almost 100% digital, they’re going to expect, and even demand, that their work environment be no less. They also have much higher expectations for work that is fulfilling, meaningful, and satisfying. They prefer to work in teams, love to collaborate, and like to be recognized and rewarded often. 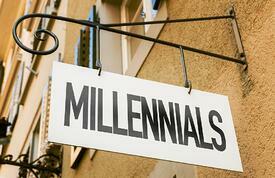 So what’s it going to take to meld them into your multi-generational sales force? Recently, the Incentive Marketing Association (IMA) reviewed an article highlighting some of the changes required to engage millennials in the sales force. The article found that the same forces galvanizing millennials are also animating all members of both internal and external sales teams. The article cites a Deloitte study that “by 2025, 75% of the global workforce want to work for organizations that foster innovative thinking, develop their skills, and make a positive contribution to society.” Combine that trend with the immersion of both buyers and sellers into the digital economy and you’re looking at a brand new ballgame. So What Is the New Game Plan? Foster and create an emotional relationship with your brand within your sales team. Focus on the behaviors and experiences that will help inspire your sales team and channel members to connect with your brand. Help both millennials and their peers experience a greater purpose and personal meaning when they interact with and represent your brand. Evaluate your motivation strategy with a focus on the behaviors and experiences that will help inspire your sales channels to connect with your brand. Create meaningful rewards experiences that are geared toward individual preferences, desires, and life styles. 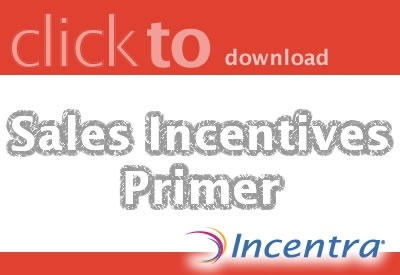 Put yourself in the shoes of your sales team members when designing your incentive and reward strategies. To learn how to use new rewards technology to get everyone engaged, click here to download our whitepaper that will guide you through the basic steps. There’s no doubt about it, motivating for high performance requires more than just earning rewards. You’ll need to help your sales team experience a greater purpose and personal meaning when they represent your brand. You’re going to need an exceptional technology platform to deliver this multi-faceted approach. This is where the design of your program becomes so important. Research from the Incentive Research Foundation (IRF) indicates that the firms with the highest performing incentive programs spend 43% more on design services. This is what Generation Y is bringing us. Incentive program design in the digital age is our wheelhouse. Let us help.